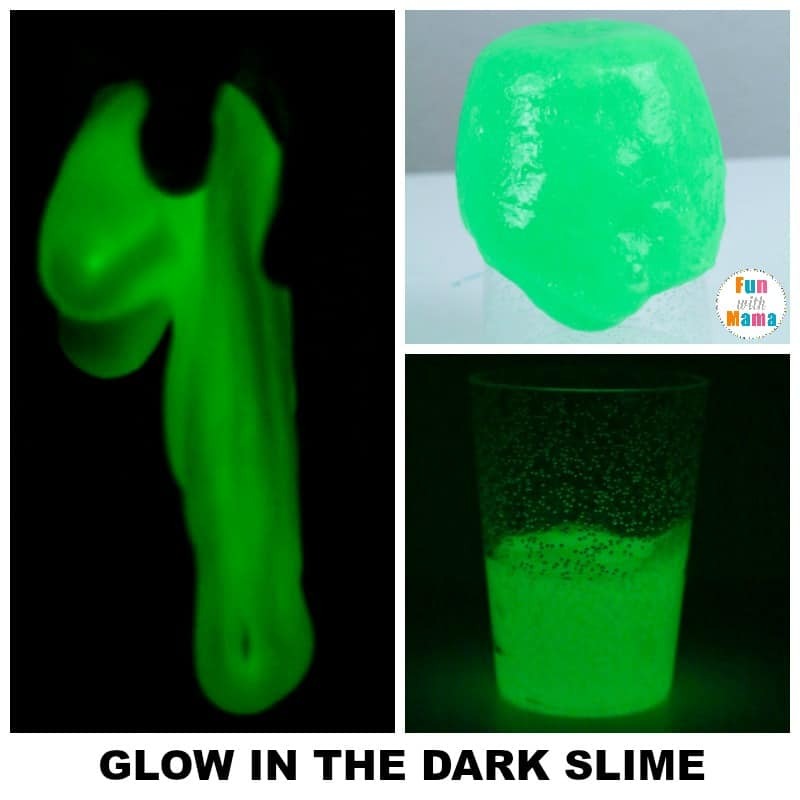 Learn how to make glow in the dark slime with this easy slime recipe. 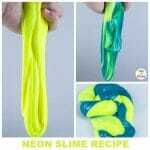 If you’re new to slime, one simple slime recipe that you can’t miss is this fun glow in the dark slime recipe! 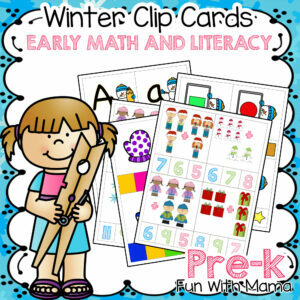 With summer just around the corner, kids love playing and learning with all things glowing! 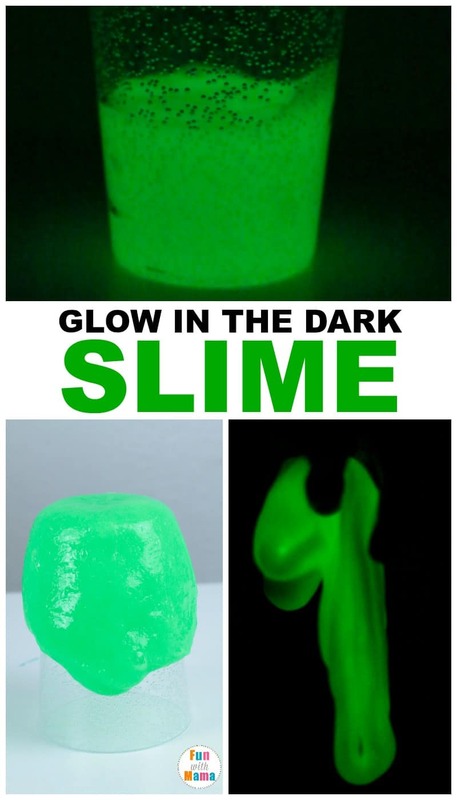 While you can’t open glow sticks and play with them, you can make glow in the dark slime! 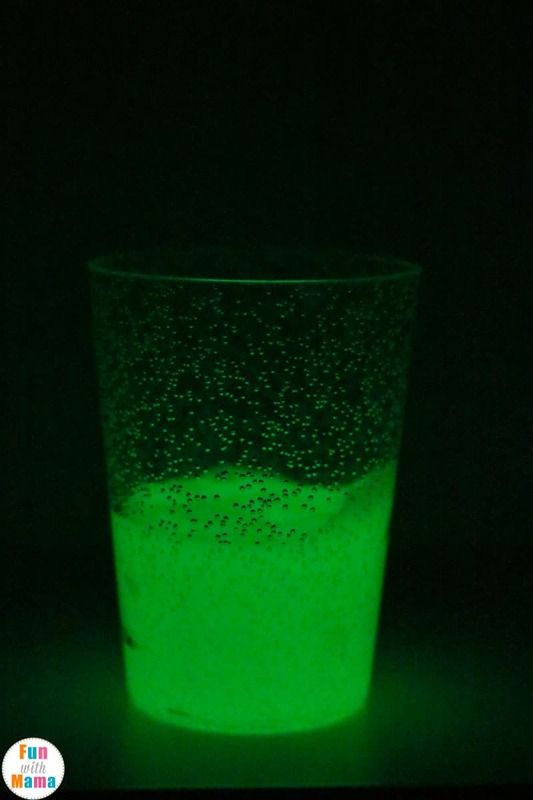 This glow in the dark slime recipe is super fun, and kids will have a blast making it. 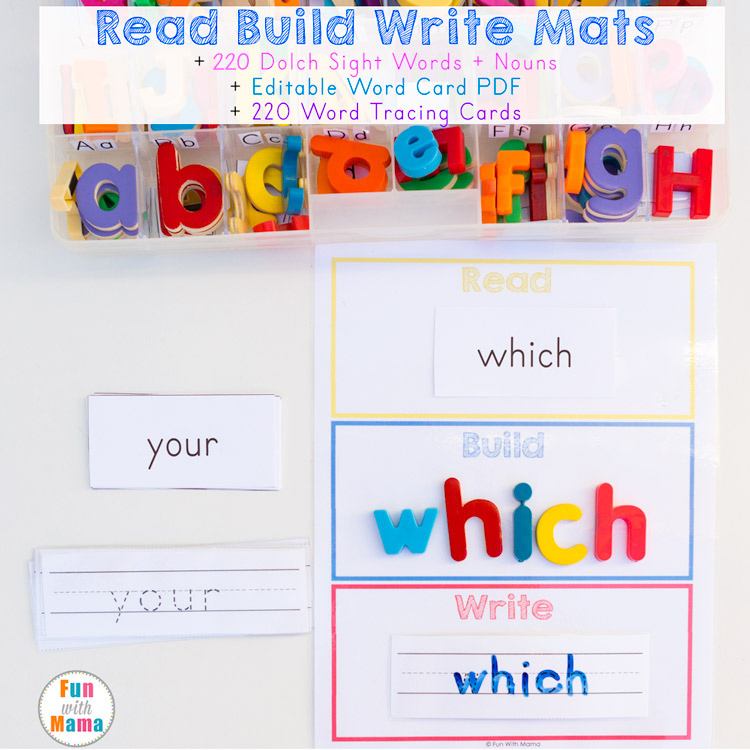 It’s the perfect way to bring a bit of science and hands on learning into your house during the summer! 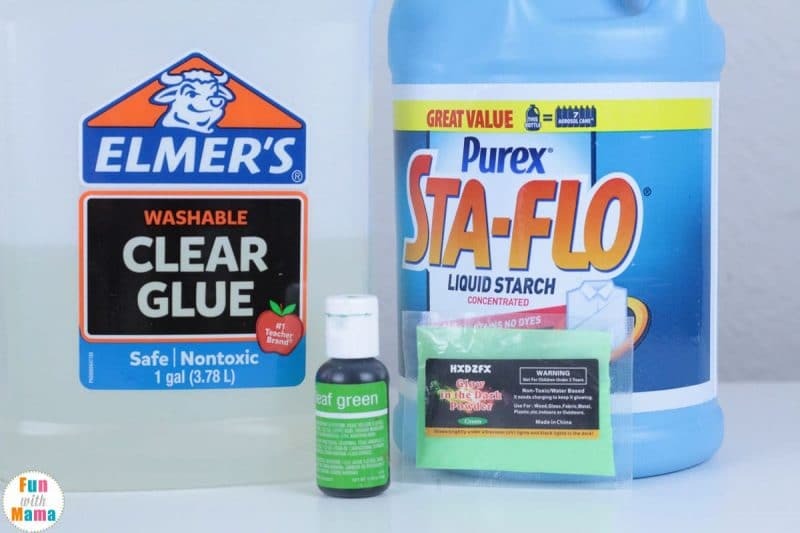 This slime recipe is easier than most for beginners, because when you use laundry starch and clear glue, your slime recipe is almost foolproof! My elementary kids can make the slime entirely on their own (with some supervision from mom, of course). It’s definitely better than them watching YouTube videos all day when it’s too hot to go out! 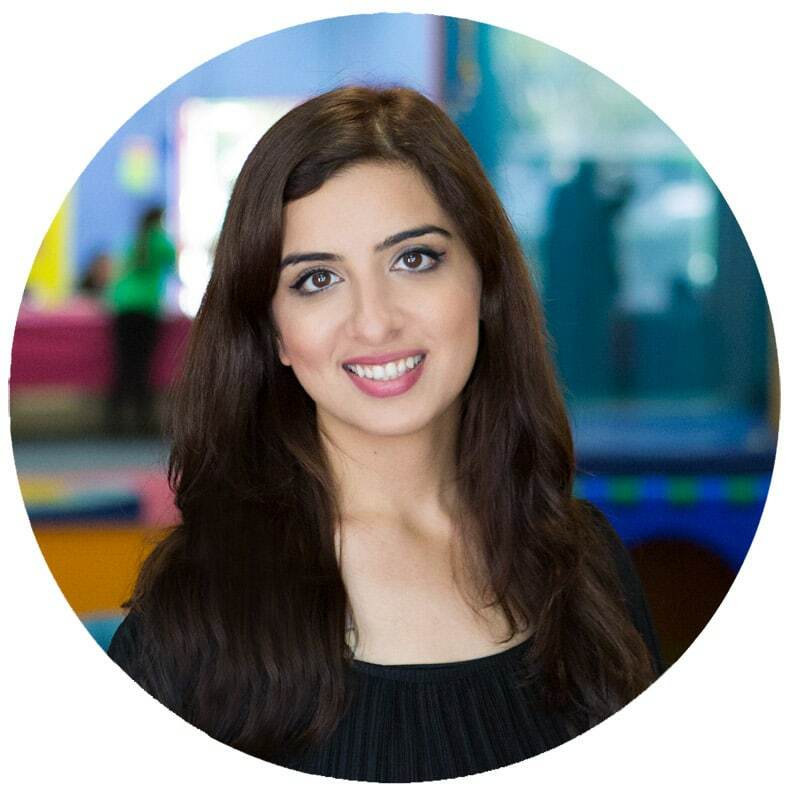 Check out all of our slime recipes here. Making slime is a favorite in our home. 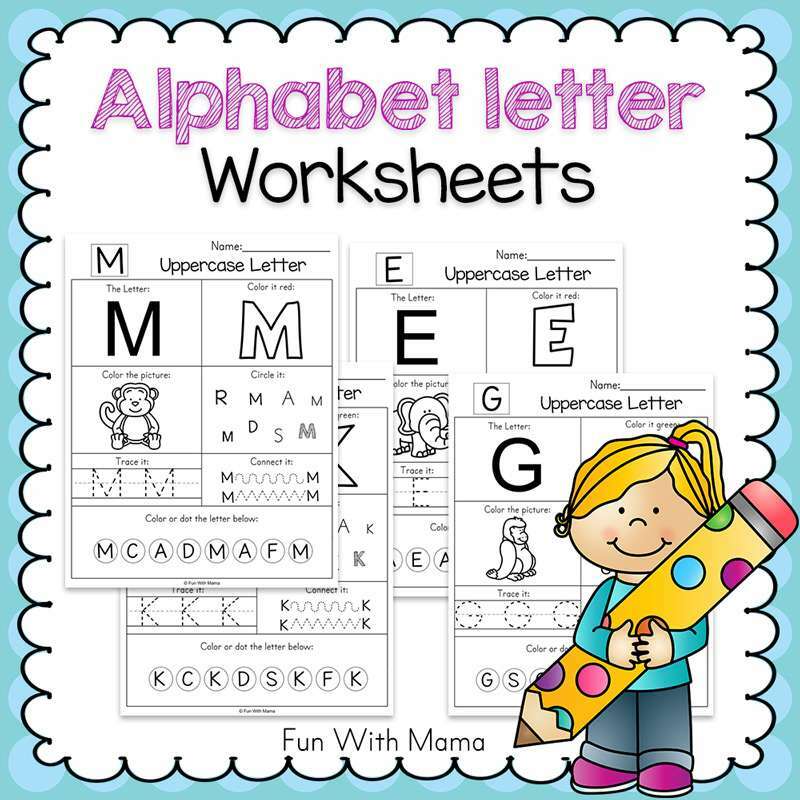 We are also always looking for ways to make slime clean up easier. By using plastic cups and sticks to mix you can literally make this slime and throw away all of those mixing cups! All that would be left to clean is just putting the glue and laundry detergent away. 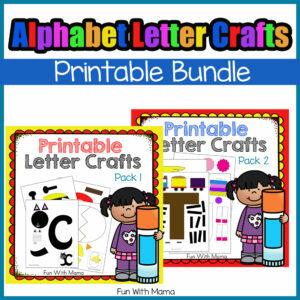 Please note that affiliate links may be used in this post. 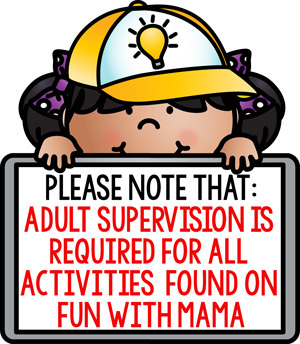 Please see our disclosure policy for more information. 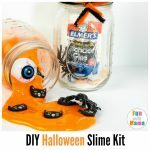 Elmer’s clear glue– we actually normally buy the big bottle because the kids love making slime so much! Place a bowl on the table. 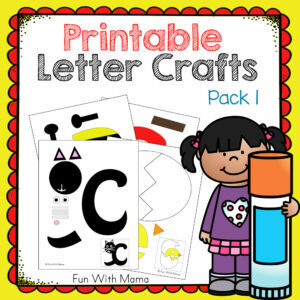 Add one cup of glue and 1/2 a cup of water into the bowl. 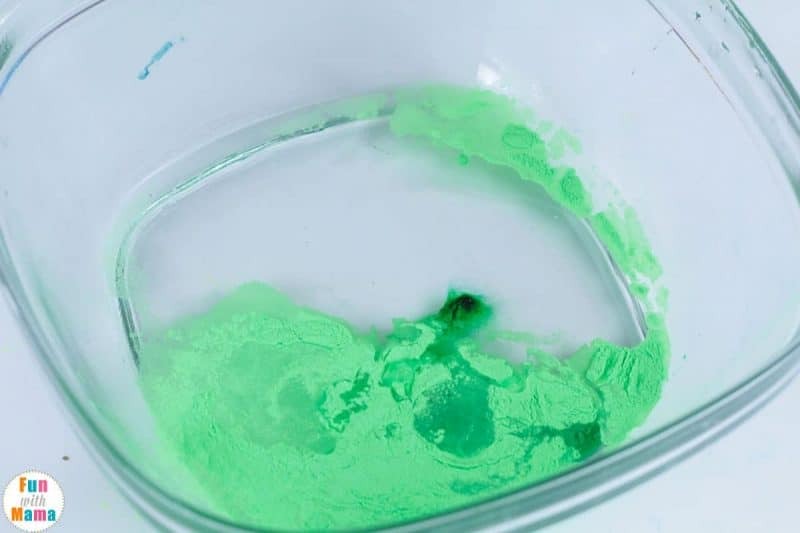 Add green food coloring (just a drop) and your glow in the dark powder and stir. Fill your measuring cup 3/4 of the way full of starch. Carefully pour the starch into the glue cream mixture while you stir. 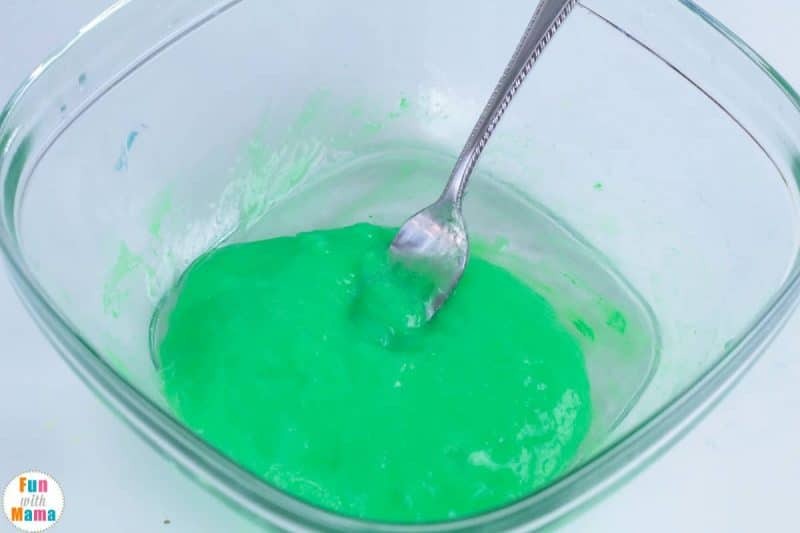 It’s easy to add too much starch to slime, so stop adding starch as soon as the slime “gels.” But, if your slime is really sticky, you may need to add a bit more starch. Place the slime outside in bright sunlight for a hour, then bring it back inside! 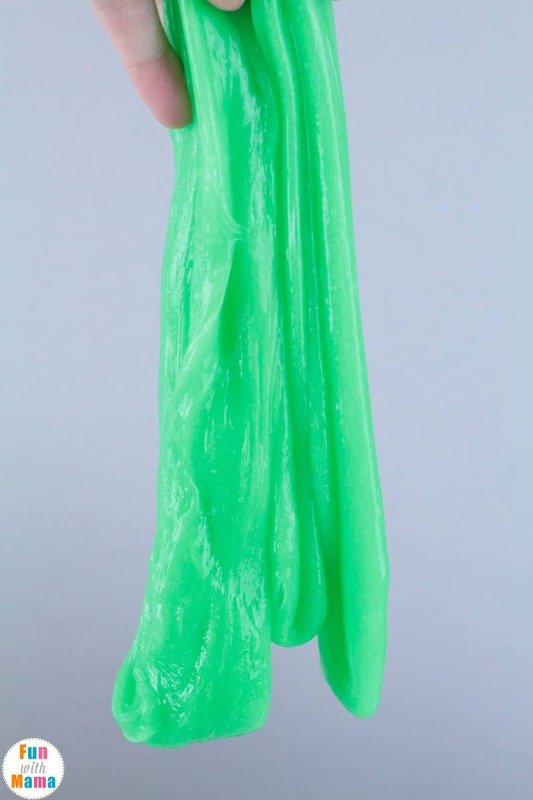 The slime will be green in daylight, but when you bring it into a dark room, suddenly, it will start to glow! 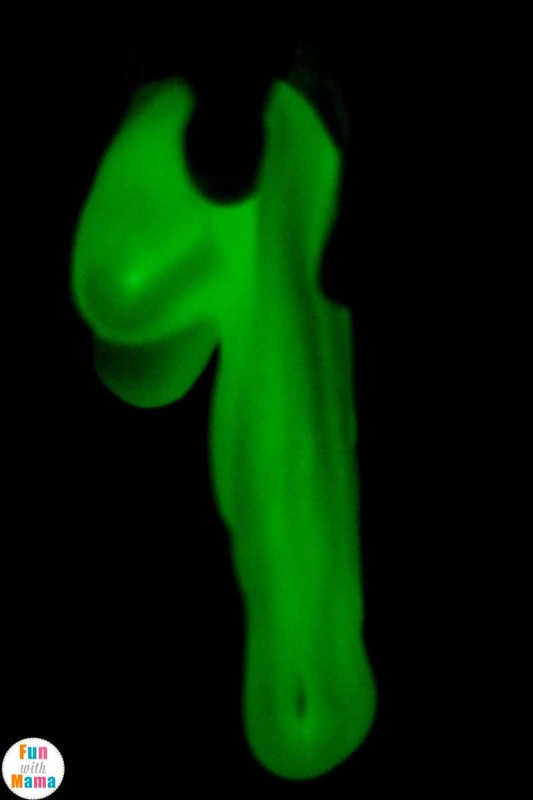 The longer you leave the slime in the sun the brighter and longer it will glow in the dark. 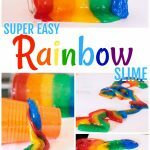 If you want more fun slime recipes, check out more unique slimes! 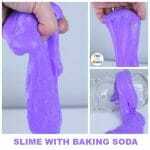 You can find all of our slime recipe’s here.